What do I need to Know about Utilities in Kampala Uganda? Among the luxuries of staying in Kampala in comparison to other areas of Uganda is the comparable regularity of electricity as well as water. It is not perfect; however it’s miles in front of, say, Kitgum. Here is all you need to know to help you get started with the utilities of Kampala. Electricity within Uganda is supplied by a single company: Umeme, an entirely owned subsidiary of one of the British private collateral firm. Umeme has invested in approximately USD 60 million during the last couple of years to make the power supply in Uganda more reliable as well as available. Fortunately this can clearly be seen. Particularly since the brand-new hydroelectric generator found at Bujagali Falls started working in the first quarter of 2012, Electricity power within Kampala has been quite consistent. What do I do in case of Power supply inconsistencies or Power Blackouts while in Kampala? The customer service of Umeme is extremely good. 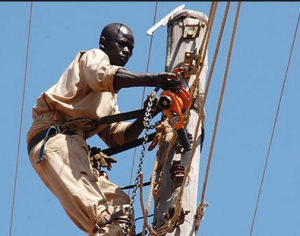 To obtain a new connection, check up on your account, or forward a report on black outs, you may call them on their toll free number of 0800 185 185 or check on their website at http://www.umeme.co.ug. The National Water and Sewage Corporation (NWSC) deliver water in the whole of Uganda and it is entirely owned by the government of Uganda. The easiest method to handle water is to use a holding tank at your home or office that fills up and then feeds your taps as well as toilets simply by gravity. A lot of people refrain from drinking tap water within Kampala; however several people that have been here for a longer time do not mind brushing their teeth or even washing their fresh vegetables using it. A quick boil or a proper filter, such as Tiva, can certainly make your water very drinkable. For brand new connections or any inquiries, you may call the National Water and Sewage Corporation (NWSC) on their toll free number – 0800 100 977. How is Garbage Managed and Disposed off In Kampala Uganda?